The spirit itself is aged for a minimum of three years and bottled at a hefty 94 proof. It pours a medium, ruddy brown in the glass and has a nose featuring cinnamon, green apple, dry oak, toffee, and considerable vanilla. The Clyde May’s whiskey kicks things off on the palate with chalky brown sugar and zingy green apple, and has a light, silky mouthfeel. It turns rich at the center with fudgy toffee notes. Those dessert-like traits vanish at the back, where it quickly dries out, and grows oaky, tannic, and hot. The woody notes are succeeded by dark cherry and a long, spiced finish. 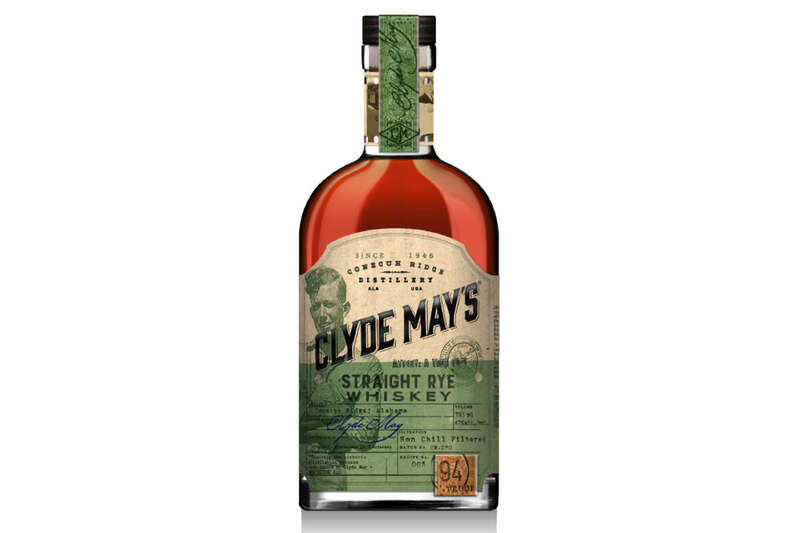 In a short span of time, Clyde May’s Straight Rye Whiskey sets up a great contrast between its rich, dark center and dry, spicy finish. The final spice level should please fans of the category, and its more mellow beginnings may prove a great introduction to those entering the world of straight rye. At $45, it’s priced to make great Old-Fashioneds, too.